Every day at Cosmetic Laser Dermatology, we talk to patients at our San Diego practice who are interested in reducing their issues while also wanting to avoid discomfort or a lengthy recovery period. 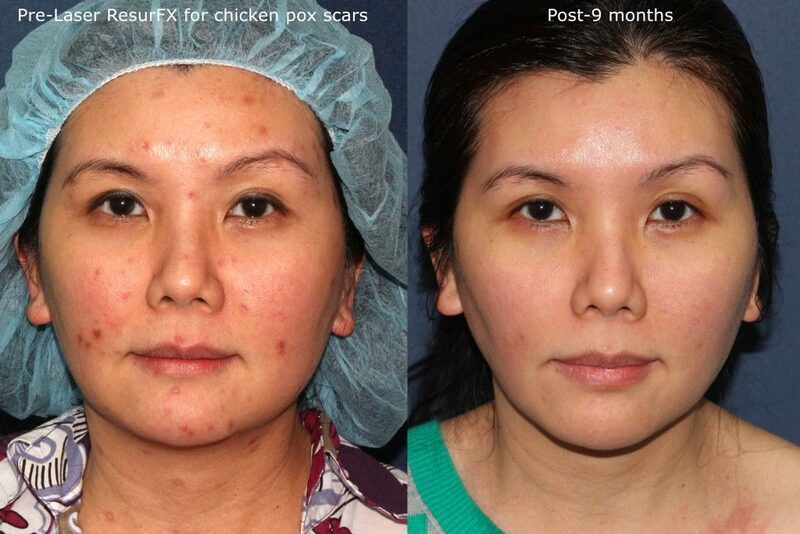 One procedure that meets both of those goals is ResurFX laser skin resurfacing. The ResurFX system is an FDA-approved non-ablative photo-fractional laser used to resurface and rejuvenate skin that appears dull from wrinkles, scars, or collagen loss. It does not damage the skin surface even as it penetrates deep into the lower dermis. 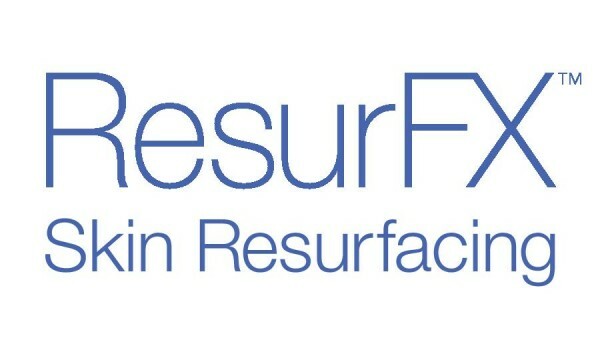 ResurFX is different from other fractional skin resurfacing systems because one wave of the handpiece over the treatment area is all that is needed to reinvigorate collagen production and stimulate the skin’s healing properties. It’s a quicker, safer, more efficient procedure that delivers the same or better results. The laser energy, size, and shape can be adjusted for each patient and condition, therefore, this one laser resurfacing system is versatile enough to address vascular conditions, pigmentation issues, and fine lines and wrinkles to generate noticeable skin rejuvenation. Patients seeking the best possible results from laser treatments, such as ResurFX couldn’t be in better hands than with our board-certified dermatologists. At Cosmetic Laser Dermatology, our founder and medical director Dr. Mitchel Goldman is highly experienced with Lumenis laser procedures, helped develop the ResurFX laser and has published numerous articles and studies regarding his innovative research. Dr. Goldman in San Diego also regularly conducts lectures on his techniques and experience with Lumenis ResurFX laser therapy for other dermatologists. 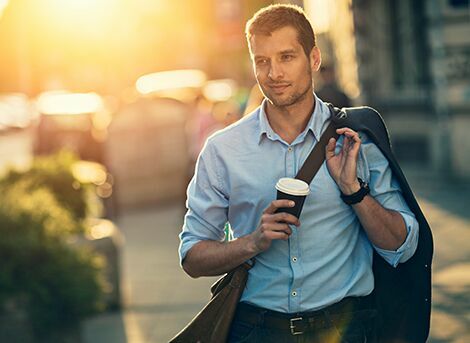 During a ResurFX procedure, the unique fractionated laser handheld device is passed just once across the targeted area, sending out laser energy that penetrates the skin completely without harming the outer layer. It targets collagen fibers in the skin’s support structure to build collagen and naturally repair skin and foster new skin growth. By repairing the support structures of the skin, the procedure smooths wrinkles, minimizes the appearance of stretch marks, minimizes acne and other scars and generally gives the skin a lifted, revitalized appearance. One session takes 5-15 minutes depending on the size of the skin resurfacing treatment area and results in almost no downtime. 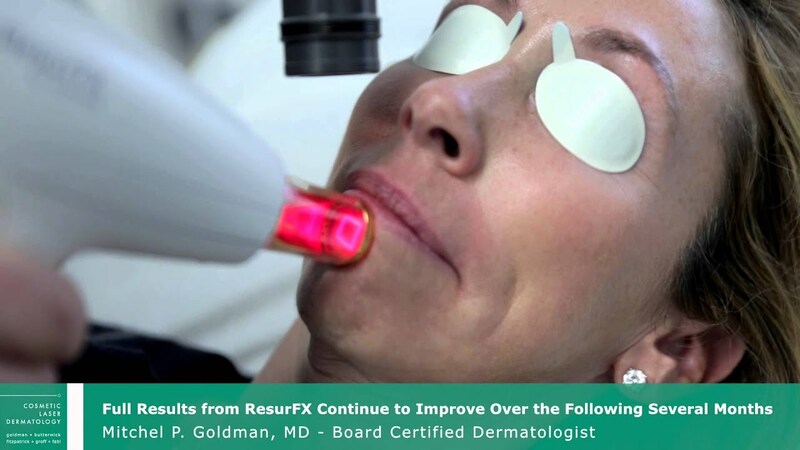 Results from treatment with ResurFX depend on the extent of the treatment area but a general guideline is one treatment session a month for 4-6 months. Patients who follow their San Diego dermatologist’s pre- and post-treatment care routine can more readily expect to achieve their desired goals. Following the proper after-care routine can enhance results and help patients achieve their goals. For the first hour or two after a procedure, patients usually feel slight burning and itching sensation. Cold packs reduce irritation and swelling, while a 1% hydrocortisone cream should be applied twice a day the first two days. Patients should use gentle cleansers with warm, not hot, water when bathing, keeping in mind not to soak in a tub or scrub for at least a week. Normal daily activities, however, should not be affected and there should be no downtime. ResurFX has proven to be safe over and over, yet a few side effects can be expected, though they should be mild. Swelling commonly appears after skin resurfacing treatment but usually disappears in 24-48 hours. There might also be mild redness for 2-3 days as well as skin roughness that eventually softens after a few days. clinicaltrials.gov went through a full study on the ResurFX. Read our pre/post treatment guidelines for ResurFX. For patients interested in correcting a variety of cosmetic skin issues, we offer a full complement of laser resurfacing treatments appropriate for all skin types which may be the best solution. 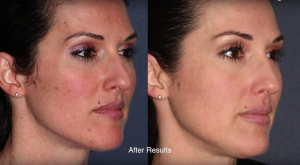 To find out more, including pricing, contact Cosmetic Laser Dermatology in San Diego to learn more. Schedule a consultation today and contact us online or call us today!